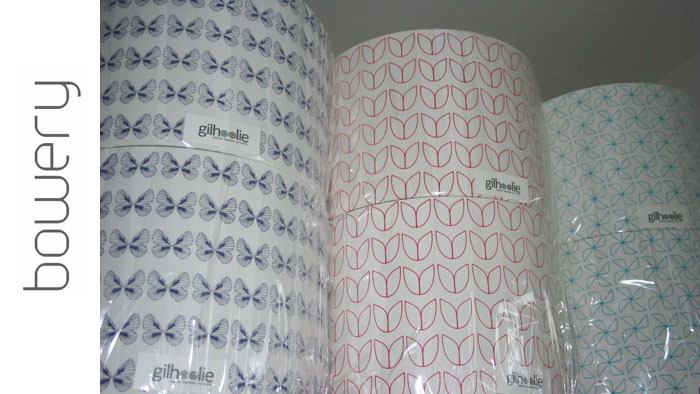 My hand screen-printed lampshades are all ready to go to The Bowery in Leeds next weekend, each carefully wrapped in cellophane, don’t they look pretty?! These ones are all 30cm diameter pendant lampshades but they can be made in different sizes and for table lamps (and different colours too if you like). You can also buy them in my new Etsy shop – come and have a look!